I joined Essex in April 2003. I’ve been a Project Manager and Estimator at Essex for about eight years. I bring years of construction experience to our clients. My first construction job was a summer job for a concrete contractor in South Ozone Park, Queens, New York. Most of the guys spoke only Italian, so my lead role was to forecast and communicate our project needs to suppliers. I have always known my career would be in building construction, and focused on studying architecture or working in construction. I attended Orange County Community College in Middletown, New York, Pratt Institute in Brooklyn, New York, and eventually the University of Oregon here in Eugene. My beautiful wife Lori and I have two exceptional daughters, Katherine and Emma. The girls are both native Eugenians, and fortunately for us they still live here. I’m a builder at heart, and in my free time, you are likely to find me working in my shop or improving my house. Music, especially jazz, soothes my soul. Charles Mingus and Tom Waits are favorite musicians. 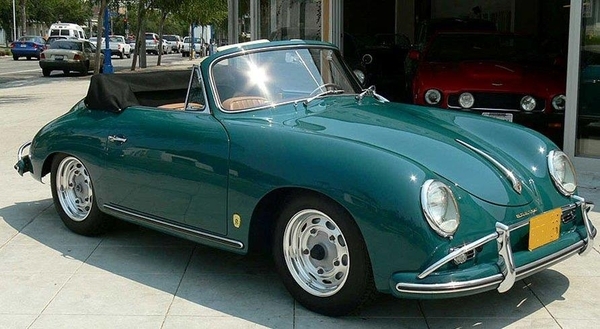 I’ve loved cars from an early age, and owned and coddled a group of 356-series Porsches through my twenties. Essex is the best general contractor I’ve ever worked for. We are an experienced group and strive to help each other. We all want to build the best buildings possible, and we’re dedicated to serving our clients. We are good at meeting and beating schedule and budget goals. There’s a comfort level and a lot of good energy at Essex, and I’m happy to be a part of it.